Blood Irradiation Therapy is a procedure in which the blood is exposed to Laser light for therapeutic reasons. Intravenous laser blood irradiation was developed experimentally by the Russian researchers, Meshalkin and Sergievskiy, and introduced into clinical practice in 1981. Originally the method was applied in the treatment of cardiovascular abnormalities. 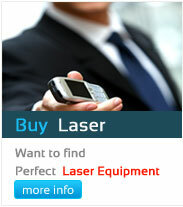 Laser blood irradiation therapy was government-certified in Germany in 2005. In the following two years, this method was established in more than 300 centers in Germany, Austria, Switzerland, Italy and Australia. Intravenous or intravascular blood irradiation involves the in-vivo illumination of the blood by feeding low level laser light generated by a 1–3 mW helium–neon LASER at a wavelength of 632.8 nm into a vascular channel, usually a vein in the forearm. Commonly known as "intranasal light therapy". Involves the non-invasive irradiation of the nasal cavity by inserting a small LIGHT diode (usually red color) to illuminate the nasal cavity walls. Transcutaneous therapy applies laser light on unbroken skin in areas with large numbers of blood vessels (such as the forearm). 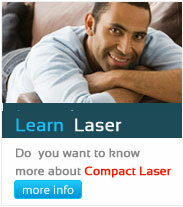 Because of the skin acting as a barrier to the blood, the power of the laser is often boosted to compensate. Visible RED Diode laser having power 10 to 30 mW at 660 nm, is used. To change the biological characteristics and peel off the fat layer and cholesterol wrapped in the red blood cells. Improve the activity and oxygen carrying capacity as well as the deformability of cells. To reduce the concentration of middle molecules in the blood, improve hem rheological properties and lower triglycerides and cholesterol, in order to effectively treat and prevent heat and brain diseases. It is claimed to improve blood flow and its transport activities. Therapeutic effect on ischemic cardio-cerebrovascular diseases. A microcontroller based Laser Control Unit to ensure Laser Dose. Has the long life-span at standard operating condition. 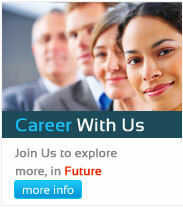 Product has almost all required certifications. No or low contra indication & down-time. Battery is the only consumable with life of 2 years approx. Uses high-class and durable HIP / ABS enclosure which is non-conducive to heat & electricity as well. Easy & pre-set able Dose calculation. Continuous wave out put mechanism. Pluggable laser hand piece, easy to use and easy to maintain.